On September 12, 2001, FBI Special Agent Ali H. Soufan was handed a secret file. Had he received it months earlier—when it was requested—the attacks on New York and Washington could have been prevented. During his time on the front lines, Soufan helped thwart plots around the world and elicited some of the most important confessions from terrorists in the war against alQaeda—without laying so much as a hand on them. 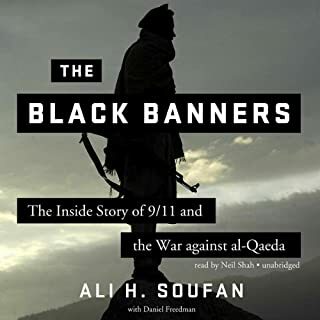 In Anatomy of Terror, former FBI special agent and New York Times best-selling author Ali Soufan dissects bin Laden's brand of jihadi terrorism and its major offshoots, revealing how these organizations were formed, how they operate, their strengths, and - crucially - their weaknesses. 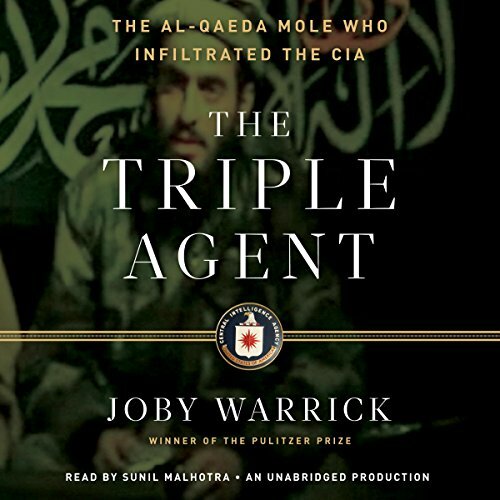 In The Triple Agent, Pulitzer Prize-winning reporter Joby Warrick takes us deep inside the CIA’s secret war against al-Qaeda, a war that pits robotic planes and laser-guided missiles against a cunning enemy intent on unleashing carnage in American cities. 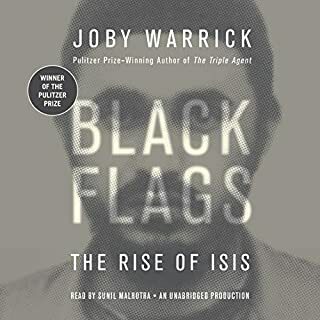 Flitting precariously between the two sides was Balawi, a young man with extraordinary gifts who managed to win the confidence of hardened terrorists as well as veteran spymasters. 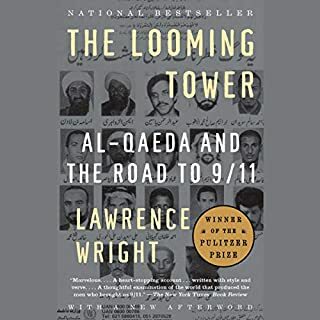 With his breathtaking accounts from inside al-Qaeda’s lair, Balawi appeared poised to become America’s greatest double-agent in half a century - but he was not at all what he seemed. Combining the powerful momentum of Black Hawk Down with the institutional insight of Jane Mayer’s The Dark Side, Warrick takes the readers on a harrowing journey from the slums of Amman to the inner chambers of the White House in an untold true story of miscalculation, deception, and revenge. The story is well told and captures the reader. We have read the newspaper accounts of the story, but this book fleshes out the real people involved on all three sides of the story. The author pulls together the facts to show us what all three sides were looking for and the human toll it took. The narrator does a fine job. Good read overall. I've read and researched every book written on intelligence in the middle east and this one of the best on the topic. This is a story which everyone needs to read, to understand the sacrifices and tough decisions that our intelligence agents make everyday. Yes, Provides a lot of insight to the workings of the CIA that I've not read before. What was one of the most memorable moments of The Triple Agent? Have you listened to any of Sunil Malhotra’s other performances before? How does this one compare? Narration is excellent but a little fast in a few places. There is a lot of detail provided and a lot to take in. Would you consider the audio edition of The Triple Agent to be better than the print version? It can be a little hard keeping characters straight in an audio presentation--especially if there are a lot of them and when they have foreign names. But the author did a pretty good job of providing little clues to keep the listener on track. I love audio books, in general, and believe a good reader, as this book had, adds to the understanding of the text. What isn't easy to do, of course, is go back and reread a paragraph or page. What other book might you compare The Triple Agent to and why? Although this was a true-life story, it was paced like a fictional thriller, with the author skillfully building tension and bringing out aspects of the characters that made them engaging people, whose fates the listener cared about. Amazingly, the tension was sustained, despite knowing the episode's outcome. I'd compare it, in its exploration of the ambiguous realities of Afghanistan and what Americans face there, to Frederick Forsyth's The Afghan (an audiobook I've listened to twice). What about Sunil Malhotra’s performance did you like? The reader did an excellent job of text interpretation and character differentiation. I read some 50 books in 2012--including several prize-winners--and listened on audio to at least a dozen more. This was one of my half-dozen favorites. From thousands of miles away, it can be easy to put Iraq and Afghanistan out of our minds; this book made the real sacrifices of real people very, very painfully present. If you could sum up The Triple Agent in three words, what would they be? I was driving across the country for a vacation and I didn't want to stop because I was enjoying the book so much. Very easy to listen to and is a page turner. I could hardly put it down. No problem with the unfamiliar names - look up one or two online if you need to. Reads like a top thriller novel, except for the tragic end. 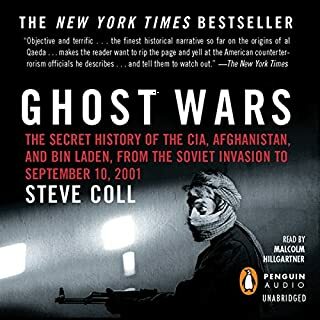 This is an excellent book; it has incredible detail about the real world of espionage. It was educational but also disconcerting. 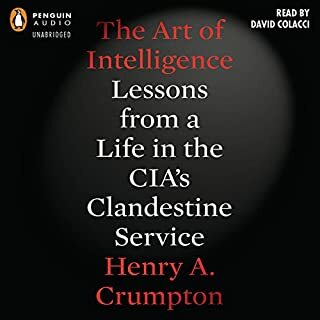 A Great book for anyone interested in espionage, the cia, the nsa or any of the like but not only for just them...This is a great book for anyone who enjoyed a well paced book with a fascinating subject matter wrapped up with a great, attention keeping narration. Its well worth a credit! Joby Warrick in The Triple Agent has provided readers with an exciting, informative, and thought provoking glimpse inside the CIA and the disaster at Camp Chapman. Throughout the book, Warrick simply tells the story – unapologetically and journalistically. The reader is free to come to conclusions at will. In the process of telling this story, the reader is thoroughly introduced to the bomber and the victims he took with him. In places Warrick takes your breath away. In others, details he has uncovered jar the reader awake. At times, the narrative brings tears and a serious appreciation for the men and women of the CIA who sacrifice so much in the service they perform to the nation. The book is worth the price of admission for nothing else than the subplot involving Elizabeth Hanson and Jennifer Matthews. Just amazing. This is one page turner. The reading of Sunil Madlhotra is wonderful. Don’t miss it. Far too much dramatic licence for a book about real, recent events. We are privy to conversations at which no-one was present for example. Real time emotions of the suicide bomber and other terrorists are freely given. Extra little bits of description are thrown in whenever the author feels the need give the story a helping hand. 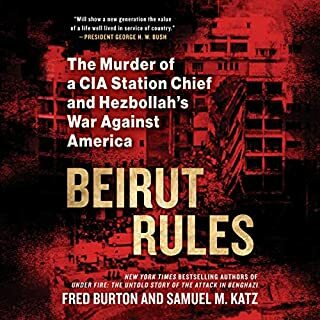 Doesn't really shed any light on the processes that lead Balawi to become a suicide bomber, or the colossal mis calculation that lead the CIA to let him have such intimate access to a military base.